Enjoy a beautiful 5-story tropical Atrium enclosing an indoor pool, hot tubs and cafe. You may even see a colorful parrot! 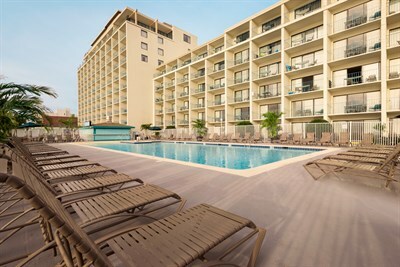 Fully-equipped efficiency units, outdoor pool, picnic areas with grills and children's play areas.